Planning a kayak trip locally or abroad? We’ve got a kayaking checklist! Find out what to bring on a kayak trip including safety essentials, clothing, and suggested gear. The great outdoors and wild rapids call to us! Paddling and kayaking is tons of fun, but always remember that oceans and rivers are extremely powerful. Stay safe on your next trip with these tips! 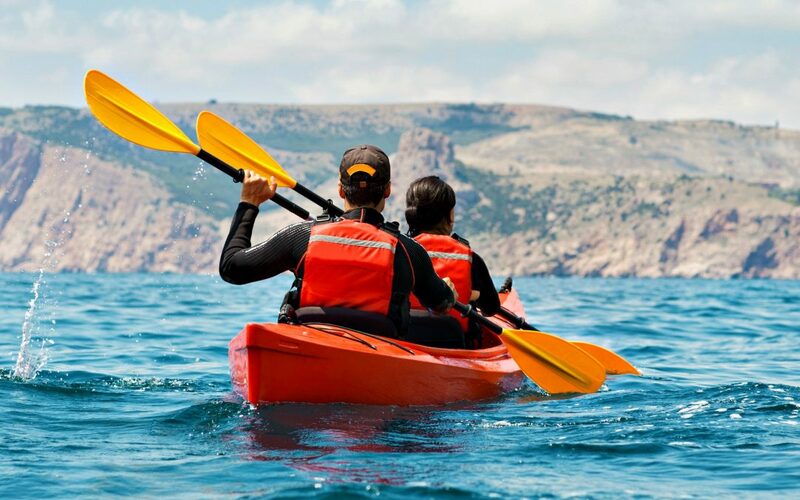 Kayaking is one of the fastest growing water sports in North America, and its popularity is spreading worldwide. 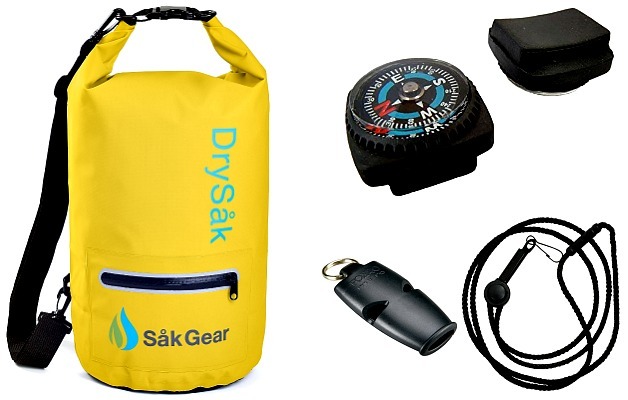 Whether canoeing or kayaking, make sure you’re prepared for a variety of conditions. Risk-readiness involves using a buddy-system and making precautionary safety-checks. A pealess sound-signaling whistle. This kind of whistle doesn’t have the ball that rattles around inside. Attach it to your life jacket or PFD (Personal Flotation Device). A compass, along with fully charged cellphone or navigation chart. A dry bag or fanny pack. Cellphone wet case, scuba diving case, or plastic bags for other items that need to stay dry, like your car key remote. A waterproof watch (or use your cellphone) to stay ahead of your ETA. 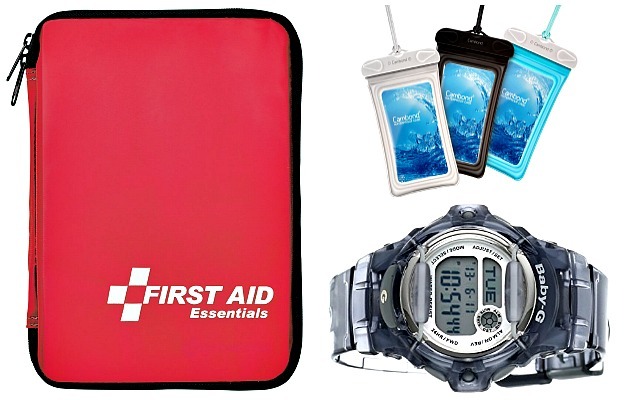 Here’s what to include in your travel first aid kit! 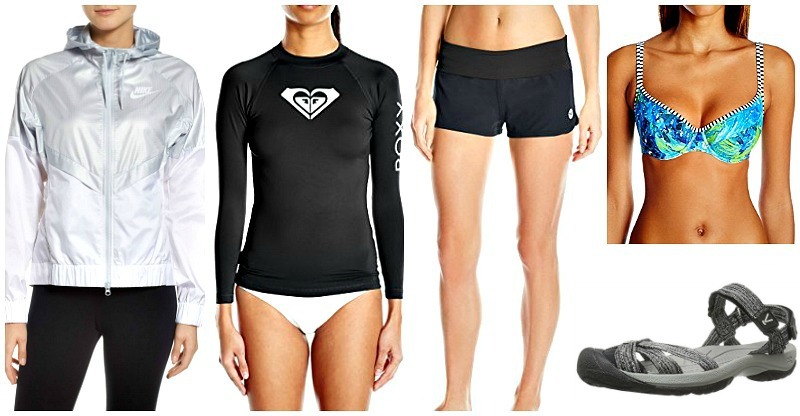 Elastic-waist, synthetic, quick-dry shorts or stretchy pants. Wicking or sun-protective long sleeve shirt and/or tank top layer. Windbreaker and gloves, if conditions worsen. Comfortable undies or bikini underneath (and a travel towel, if swimming). Water shoes or closed-toe, quick-dry sandals to be worn on water and land, like Keens. Check out our favorite water shoes for all your adventures! A waterproof hat that covers the top of the head and has a brim. Pocket-sized suncare. 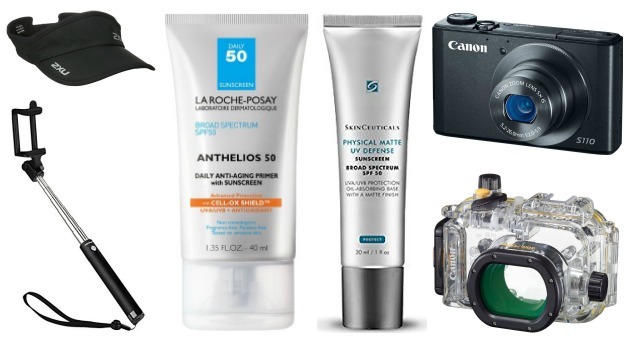 Two of my favorite products are Skinceuticals Physical Matte UV SPF 50 and La Roche-Posay Anti-Age Anthelios Primer SPF 50, which reduce the need for makeup and minimize pores. A waterproof or impact-resistant camera with a wrist-strap, and possibly a selfie stick. These are the top waterproof cameras you’ll need for your next adventure! Of course, one should be aware of currents, off-shore winds, and directions. If you make your phone’s lock screen a map of where you’re heading, then you won’t need to check your cellphone map to get a sense of the coordinates. Stick to your plan, but also have a secondary plan or “escape” alternative routes, with an idea of the geography and hazards of each. Paddling is an enjoyable (and safe) experience, most of the time. 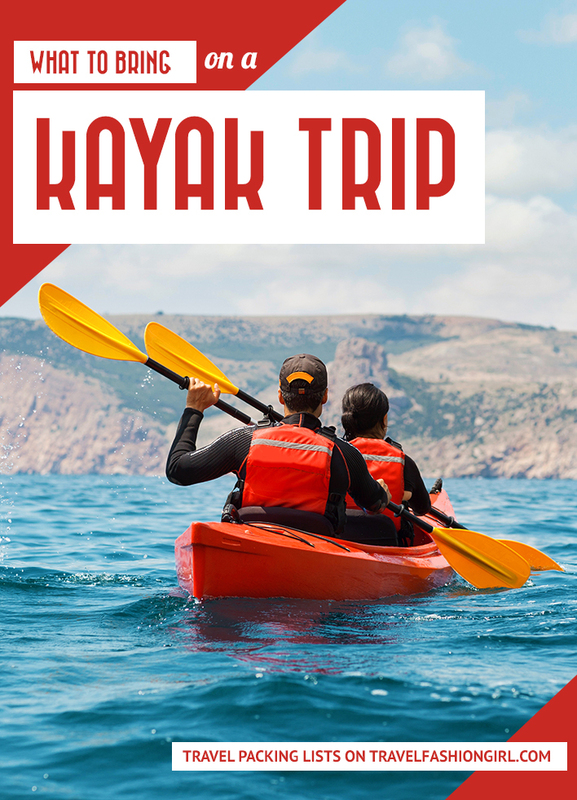 Nearly all boat rental places provide a rope-throw (for towing canoes or kayaks to shore), bail-canister (or kayak bilge pump), and paddle-float (for re-entering flipped kayaks). if it isn’t visible or secured, then these should be specially requested. 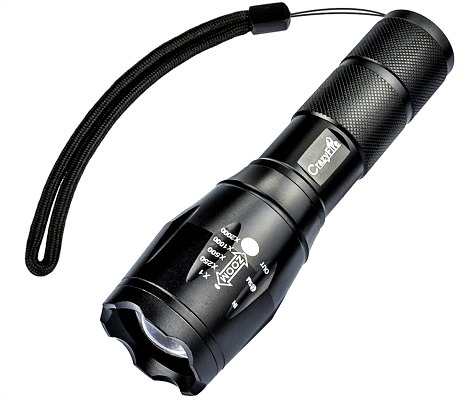 It is also a good idea to invest in a waterproof flashlight or mini flare in case of sudden fog, storms, or darkness. Having this kind of visual signal (even a mirror) and audio (whistle or air horn) emergency device is key, if unexpected circumstances arise. Don’t forget to bring snacks (such as trail mix or banana chips and raisins) and plenty of water to stay hydrated. Preparedness simply involves advance planning, and paddling is a fun way to exercise and experience the great outdoors! Have a great trip! What are your tips on what to pack while kayaking and paddling? Comment below! I hope you liked this post on staying safe while paddling and kayaking. Please share with your friends on Facebook, Twitter, or Pinterest. Thanks for reading!